This weekend was the annual Baseball and Brews event at Jupiter’s Roger Dean Stadium, home of the Florida State League’s Jupiter Hammerheads and St. Lucie Cardinals. And it was an absolute blast. What makes Baseball and Brews unique isn’t that it’s a beer festival in a baseball park (and a very nice baseball park at that). It’s that there are baseball games going on during the beer festival. 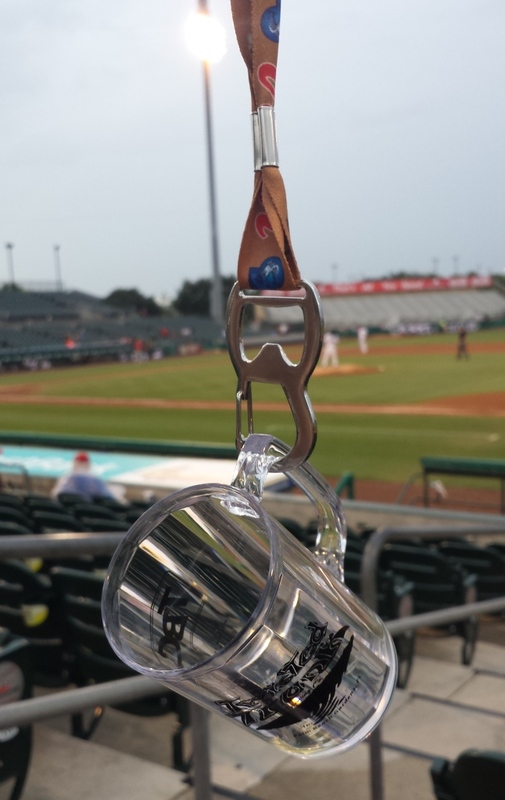 And due to some incredibly inclement weather on Friday, we got a double header of Jupiter vs. Brevard County Manatees along with great craft beer. Can’t be beat. There were a lot of great area breweries there, such as up-and-coming Accomplice Cidery, Boca Raton’s Barrel of Monks, Adrian and friends from Funky Buddha, and Brew Daddy Dave (plus his awesome beard) from Wynwood Brewing. All that, plus two baseball games for $22. Not bad at all. For an extra $20, VIP tickets got you access to the air conditioned Cassidy Cool Zone. That had a free food buffet, including mini soft pretzels which makes life fantastic. There was also drinks, seating overlooking the field from right field, and exclusive taps from Tequesta Brewing and Twisted Trunk Brewing. They even brought a few surprises from Tampa’s Coppertail Brewing. There’s a lot to write about, so stay tuned. Plus this lanyard, which was a pretty good quality, full color, and there’s a bottle opener in there, too. Game two of the doubleheader. In the end, it was a great event. The Hammerheads lost game one 6 to 3, but rallied back with a huge 1st inning to take game two 4 to 2. The VIP tent was open until game two was over, and everyone seemed to have a great time. I may even go back to catch a few more games before the season ends. Special thank you to Jeffrey, Marissa, and the incredibly awesome staff at Roger Dean Stadium for a great night. Can’t wait to head back again. Maybe next time I can get a foul ball, too. I wanted to get to this event so bad, but never made it. Glad to see some pics, looks like fun!